After attending The McKnight Group’s annual “High Powered Ministry Tools” seminar (now known as i3 – Ideas, Insights and Innovations for Building Your Church), the leaders of Eaton Brethren recognized how building a multi-functional facility could benefit the growth of their church. 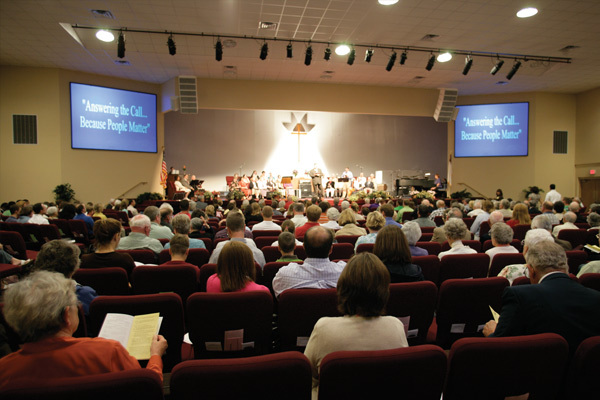 The mission of Eaton Church of the Brethren is: “to enable every person to experience the living Christ in life-transforming ways.” While their initial thought was to add onto their existing building, planning sessions with The McKnight Group revealed that achieving their mission really required a new facility. The church proceeded to purchase 80 acres of land and a plan was set in place to develop the project in phases while funds were continuously raised. 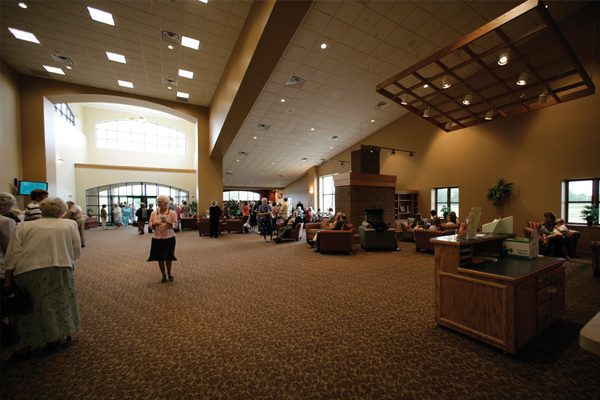 Eaton Brethren is located in a rural community and therefore needed their building to be comfortable and inviting to the community, with a “living room” atmosphere. 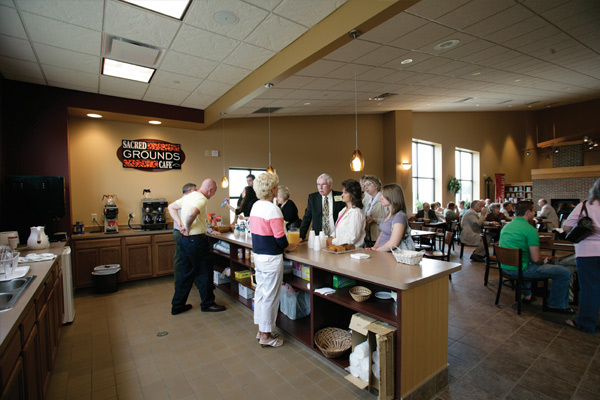 The McKnight Group constructed a 27,010 square foot multi-functional building that greets its members with a warm and welcoming foyer and special gathering spot, cleverly titled the Sacred Grounds Café. 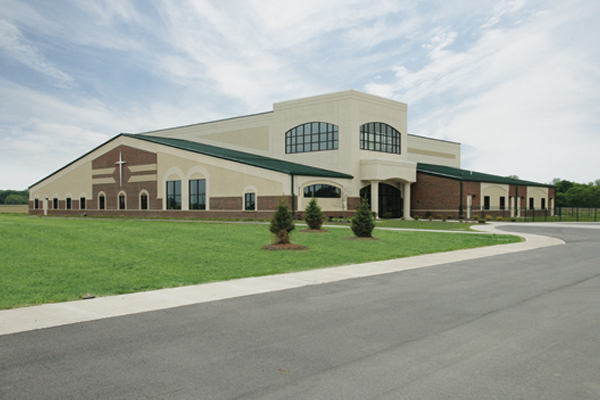 The building also features a worship center that comfortably seats 800, a main and auxiliary gym that can both be converted for additional worship space, an outdoor playground, a full-service kitchen and several classrooms. 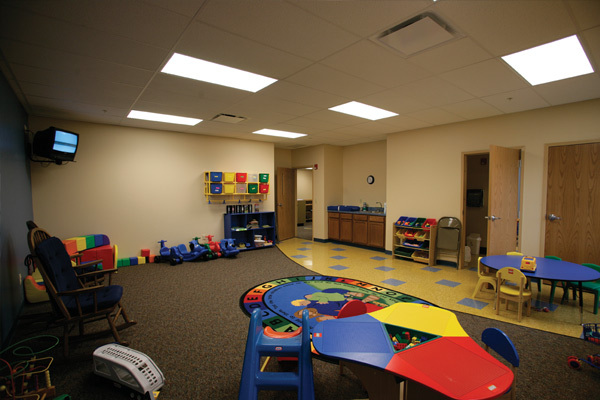 Since the construction of their new facility, Eaton Church of the Brethren has experienced solid growth and outstanding reception from the community they serve.